La Loba’s is a local organic, gluten free bakery and cafe in Blue Mountain Beach. They make incredible desserts, breakfast and lunch. La Loba’s has been a local favorite since 1994 and is the only organic bakery on 30A. The rumor is they have the most amazing cinnamon rolls you will ever taste! Thank you so much for doing this interview with me about yourselves and La Loba’s Bakery. La Loba’s is my favorite spot for lunch on 30A. I think about your mouth watering burritos every day at about 11:30. The aromas from your bakery will probably make anyone riding their bike down 30A do a double take! Barefoot Vacations: Can you give me a quick history about La Loba’s and how you came to be a part of it? Geni: La Loba’s was started as a bread bakery by Gwynn Baker in 1994. She established the current location in 2008 and we purchased it from her in August of 2015. Barefoot Vacations: What is your favorite thing about the La Loba’s and what do you enjoy most about your work here? Geni: The answer to both is the same……I love providing delicious fresh clean food to people and the resulting compliments are icing on the cake. 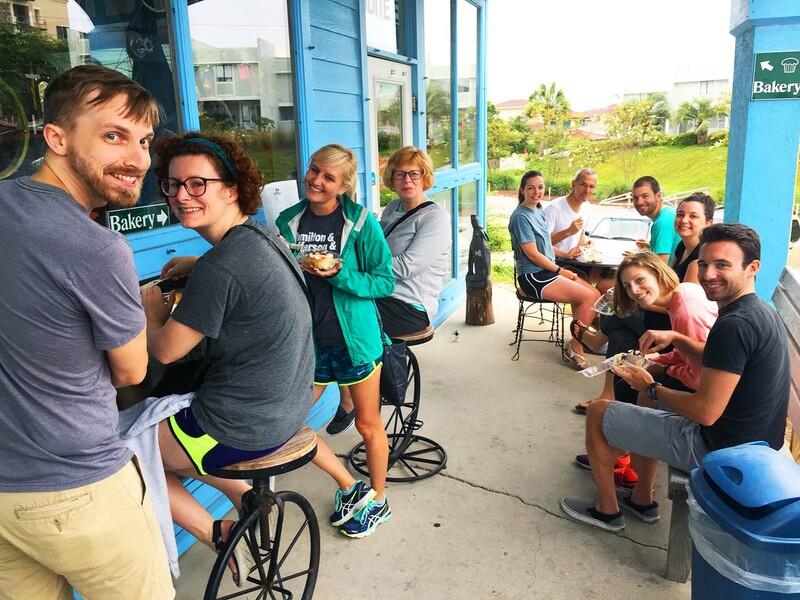 Barefoot Vacations: If someone is looking for a healthy lunch option or dessert, what is it that makes the La Loba’s a great choice here on 30a? 3. You can call ahead to order and it will be ready when you arrive to pick it up……casual and quick….just right for busy vacationers who are looking for more time at the beach vs getting dressed to go to a restaurant to have a good lunch. Of course we do have a deck with tables for people to enjoy as well. Barefoot Vacations: What kind of advice would you give someone who is looking to eat healthier while on vacation here? Geni: Come to La Loba’s!!!! We can feed you something delicious, clean and different for breakfast and lunch everyday you are on 30A! Barefoot Vacations: I believe you offer some custom baking as well, which is great for special events and birthdays. Can you tell me a little about that? Geni: We take custom orders everyday for birthday cakes, wedding cakes, graduation cakes, anniversary cakes……..each cake is prepared with organic conventional or gluten-free ingredients and desiged to highlight the celebrant and the occasion. We prefer to decorate using organic fresh fruits and edible flowers but can also do fondant accents when desired. Barefoot Vacations: For anyone visiting Blue Mountain or the 30A area, what do you recommend they do next after they have visited your cafe? Geni: Rent a bike at Big Daddy’s and work it off or take a nap on the beach…..access is right down the block! Barefoot Vacations: Geni, thank you so much again for doing this interview with me. 30A is blessed to have you here. Thank you for making such amazing healthy and fun foods!! Now I need one of those famous cinnamon rolls! 2217 West County Highway 30A, Suite E.
Located just west of Seaside, Watercolor and Grayton Beach on 30A. Near intersection of Rt 83. Next to For The Health of It and Big Daddy’s Bike Shop.